JGYD aims to gather leaders and youth mentors around the world to collectively learn and discuss how to effectively reach out and connect with the youth amid the evolving challenges they face, encouraging them to be catalysts of change for the next generation. Local churches and organizations can take part by sending their pastors, staff, youth frontrunners and leaders to the different learning sessions, youth celebration and worship concert. Pastors, evangelists and other inspirational speakers from around the world will share their insights and experiences during the three-day event. Each day will be divided into a congress, which happens first, followed by the main session highlighted by a Christian concert. For Day 1 or August 8, the Global Pastors Congress on the Next Generation features Dr. Sammy Rodriguez, president of the National Hispanic Christian Leadership Conference; Mats-Ola Ishoel, senior pastor of the Word of Life megachurch in Moscow, Russia; Opoku-Onyinah, a Ghanian theologian, minister, televangelist, and chair of the renowned Church of Pentecost in Ghana; and Stephen Andrew Baldwin, founder of Breakthrough Ministry, Antioch Ministry and Now More Than Ever Ministry. Nick Vujicic, evangelist and founder of the Life Without Limbs organization, and Nick Hall, the visionary of Together, author of the book Reset, and founder and chief communicator for PULSE, will be leading the main sessions on the first day. Coming back for Day 2 August 9, Dr. Rodriguez and Baldwin will talk to youth leaders at the Global Youth Leaders Congress. They will be joined by Bryce Manderfield, founder and president of Youth Solutions Inc. and Russell Evans, senior pastor of the Planetshakers Church in Melbourne, Australia. In the evening, Manderfield and Dr. Paul Enenche, senior pastor and founder of Dunamis International Gospel Centre in Abuja, Nigeria, will steer the main sessions on the second day. 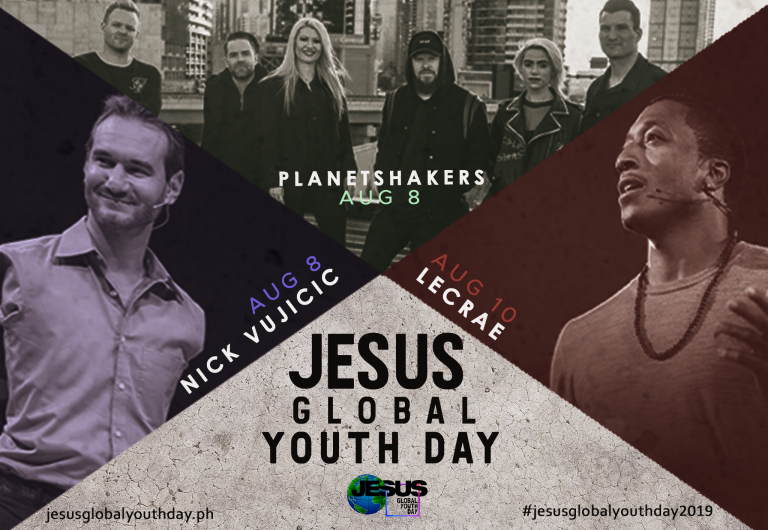 Among popular the Christian artists performing for JGYD are the Australian worship band Planet Shakers and American Christian hip hop recording artist, songwriter, record producer and actor Lecrae; American Christian musician and guitarist Austin Adamec and internationally known Christian praise and worship band Miel San Marcos. Prior to the gathering in August, there will be several week-long mission immersions for volunteer youth groups in the Greater Manila Area. From July 31 to August 7, Christian youth from all around the world will live out their faith by sharing the good news about God and His plans with Filipino youth and children. Youth Immersion Mission (YMI) volunteers will roll out creative evangelistic programs and innovative service projects for their host churches and surrounding community. Churches and organizations in the Greater Manila Area may host international youth groups and organize for them a one-week local immersion program. Those that will register as Youth Mission Immersion Host must meet requirements. Churches outside Metro Manila and elsewhere in the world may design and host their own Youth Conference in their locality from August 8 through 10. 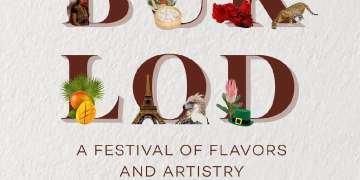 Interested parties will be provided with sample programs and activities and JGYD materials such as event logos and brochures. For more information on JGYD and its programs, visit https://jesusglobalyouthday.ph/ and follow JGYD on Facebook, Instagram and YouTube. Tickets for the conference at the Mall of Asia Arena are available at smtickets.com. Jesus Global Youth Day (JGYD) 2019 is the first-ever simultaneous gathering of youth from all over the globe, with a historic assembly at the Mall of Asia Arena, Manila, Philippines. This celebration coincides with the United Nations International Youth Day in August. The three-day conference, from August 8 to 10, will feature different conferences, plenary talks, and trainings conducted by world renowned resource persons on various topics such as leadership, evangelism & missions, worship, discipleship, campus ministry, etc. There will also be worship concerts led by celebrated Christian bands and artists every evening. Prior to this momentous gathering, several week-long Youth Mission Immersions (YMI) for international youth groups will be held in the Greater Manila Area.